Because of our commitment to quality care, pet owners in Attleboro, MA, and surrounding areas rely on Attleboro Veterinary Clinic and its staff as a compassionate and expert partner in the care of their beloved companions. We strongly believe that when a pet receives skilled and customized veterinary care, along with a loving home, they have the best chance of living a long and happy life. 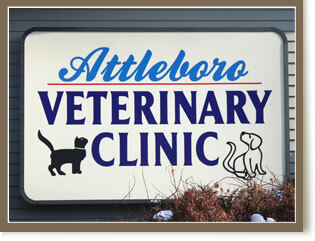 Owned by Dr. Russell Siegel, Attleboro Veterinary Clinic has been offering excellent small animal and exotic medicine and surgery to the Attleboro, Norton, and Plainville, MA area since 2004. 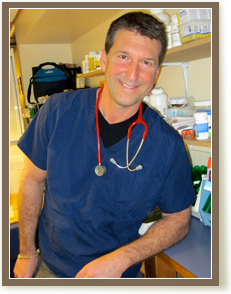 The passion and dedication that Dr. Siegel and his staff have for veterinary medicine is evident in every aspect of Attleboro Veterinary Clinic and is the distinguishing feature that sets our hospital apart from others in the field. We place great importance on hiring experienced and skilled staff members who are passionate about pet care. Pet owners can always depend on us to treat the pet with compassion and kindness; we truly treat each pet as if it were our own. An important part of our commitment to the health of your pet is our relationship with you, the pet owner. We recognize that providing the highest quality veterinary care possible includes keeping you at the center of all we do. After all, we are pet owners ourselves and understand how important it is to be received and treated by a staff that is knowledgeable, welcoming, and courteous. We work closely with you to understand your pet's unique health needs, develop a customized wellness plan, and ensure you have the knowledge required to be a responsible, loving caregiver to your pet. It is our goal not just to ensure the health and well-being of your pet, but to be your partner in strengthening the bond you share with your companion. We also understand that budgets may be tight. For this reason, we offer a range of care depending on your pet's health needs and your finances. Attleboro Veterinary Clinic's fees reflect our commitment to provide progressive, superior veterinary care while remaining conscious of your wallet. We are happy to discuss costs with you prior to initiation of medical treatment and will gladly provide you with a printed estimate. We consider ourselves to be your and your pet's friend. As such, we promise to thoroughly discuss your pet's medical diagnosis with you, as well as the various treatment options, benefits, and risks before we continue with our healthcare plan. Our care does not stop once your pet leaves our hospital. We follow up on all cases to ensure that your pet is healing as expected and to identify any additional problems at an early stage. While we offer top-quality basic medical and surgical care, x-rays, and vaccinations, we recognize that at times your pet may have an issue that requires more complex and specialized treatment. We feel fortunate to have visiting specialists and a team of trusted referral specialists who are eager to help your pet and whom we consider to be part of our veterinary team. Please take a look at our website. 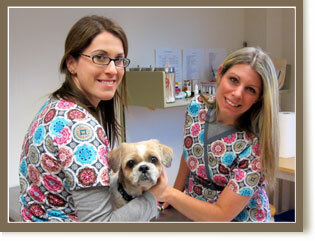 Many of the services we provide are listed along with information about our veterinarians and staff. Monday – Wednesday: 8 a.m. – 8 p.m.
We require full payment at the time that services are rendered. For your convenience, we accept cash, money orders, bank checks, Visa, MasterCard, Discover and debit cards. We also accept pet insurance. Personal checks and American Express are not accepted.